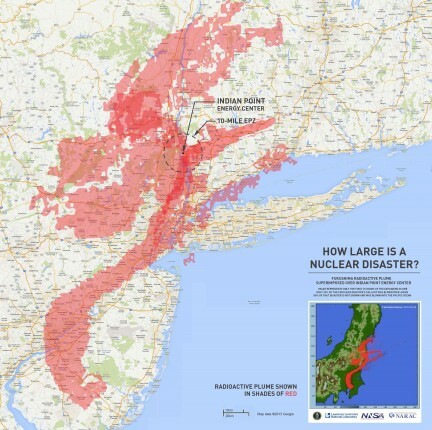 Hudson Riverkeeper Paul Gallay will moderate an important discussion with a distinguished panel about the lessons for Indian Point we should learn from the 2011 meltdown of Japan’s Fukushima Daiichi nuclear power plant. Speakers include Ralph Nader, political activist, author, lecturer and attorney; Naoto Kan, the former Japanese Prime Minister; Gregory Jaczko, former chairman of the U.S. Nuclear Regulatory Commission; and Arnie Gundersen, a nuclear engineer and analyst for Fairewinds Associates; and Peter Bradford, former Commissioner of the U.S. Nuclear Regulatory Commission. Jaczko was the Chairman of the NRC during the earthquake and tsunami that triggered the catastrophe at the Fukushima-Daiichi nuclear plant in Japan. He was confronted by three reactor meltdowns and a nuclear crisis that persists to this day. In 2012, Jaczko cast the lone dissenting vote on plans to build the first new nuclear power plant in the U.S. in more than 30 years. Earlier this year on June 4, 2013, Jaczko, Bradford and Gundersen were joined by Japan’s former Prime Minister, Naoto Kan, where they spoke at the San Diego County Administrative Center about their concerns regarding the safety of the San Onofre nuclear power plant. Three days after the panel, the plant was closed permanently.